As a backdrop, the recently revamped Pipitea Marae on Wellington’s Thorndon Quay, made more than a cultural point for the Miromoda Māori Fashion Design competition, it nailed it. 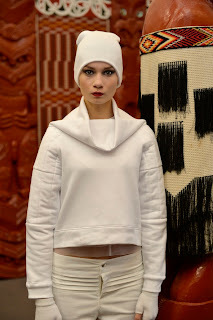 It was initially feared the intricacies of whakairo - traditional Māori carvings, tukutuku - thatched panels and its earthy colour palate might be too busy for images of fashion models in various outfits. However, the meld proved perfect for up to 14 finalist collections that were framed and captured before facing a panel of fashion judges last Friday. Parallel to the cultural surroundings were the compelling stories of indigenous design concepts. Established and Overall winner Adrienne Whitewood’s collection of navy knits, fringed suede and silver embellishments was inspired by the traditional piupiu. By her own admission, she added printed chiffon pieces inspired by the Great Gatsby movie while incorporating karakia (traditional prayer). 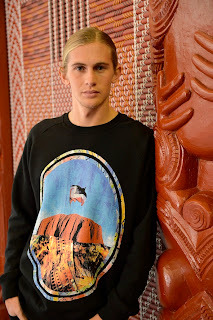 Winner of the Emerging section was Mitchell Vincent who hails from Taupo. His unisex collection entitled ‘Vapour’ was entirely in white knit and organza, with the latter referencing steam that greets people on arrival to his tribal area. Clever pintucking and overstitched panels mimicked the cylinders and tubes synonymous to a geothermal station. Queensland entrant, Kylie Mangan was inspired to revisit her love of fashion when a letter inside a retrieved time capsule and written by a 9 year-old girl, spoke of how she wanted to be a fashion designer when she was older. That girl was in fact Mangan, so her well-tailored collection incorporated the black watch tartan, and wool pieces that were often seen on marae a few decades ago, but rarely seen today. Controversial tee shirt design entrant Hohepa Thompson proved an outright winner in his category with a colourful collection of prints that provoke conversation around why so many Māori make the move to Australia. His graphics suggest the appeal of Australian money as the biggest motivation. Possibly a world first, a collection of rain capes and coats utilised imagery of harakeke (flax) under the microscope as a print that guised any obvious repetitive pattern. Is it animal? Is it digital? No one present would’ve realised or guessed the print’s origin. The analogy with the resilient and resourceful flax plant used in rāranga - traditional weaving was duly recognised as the winner of the Avant Garde section by Leilani Rickard of Rotorua. Popular Auckland label Pia Boutique further proved its use of neon colours, clever digital prints and femininity to culminate in yet another popular and ‘pretty’ collection. Fellow Aucklanders, Dmonic Intent scored again to take out Runners Up in the Avant Garde category with their dramatic, but wearable ensembles teamed with stylish hats setting a very high standard. 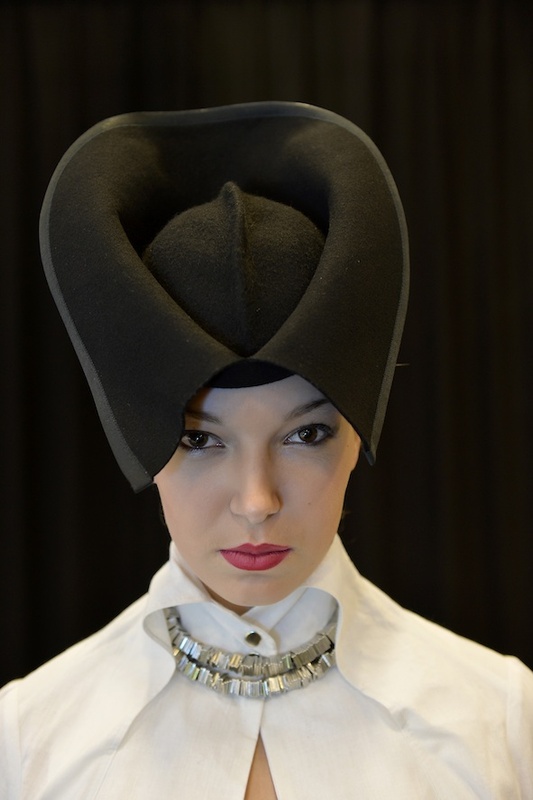 As an avid Miromoda supporter and competition head judge, Dame Pieter Stewart was motivated in 2008 to show international media and judges something they would not see at any other international Fashion Week around the world. Te Kanawa says it’s likely Dame Stewart’s support initiated a new indigenous awareness and genre in fashion. The Miromoda Showcase on September 6 at NZ Fashion Week will feature the following designers.